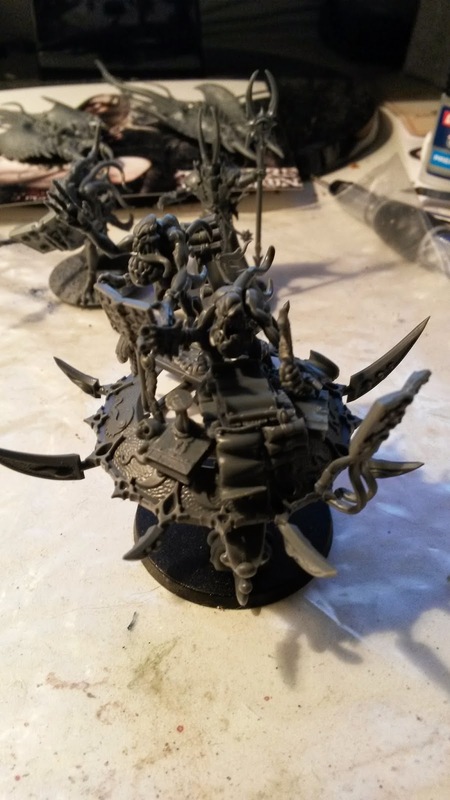 So I bought a Chariot of Tzeentch, because I wanted the disc. It's kind of the obvious use of it, right? 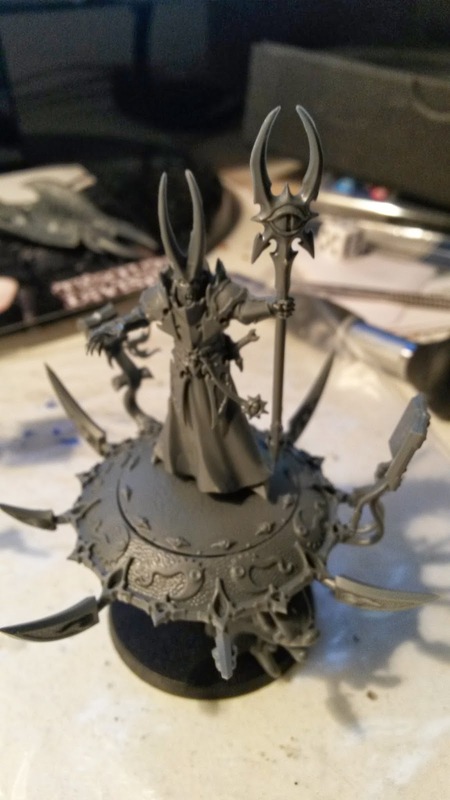 However, I'm not planning on making a Screamer-star, but I do want a single Herald on a Disc to add some variety to my lists. 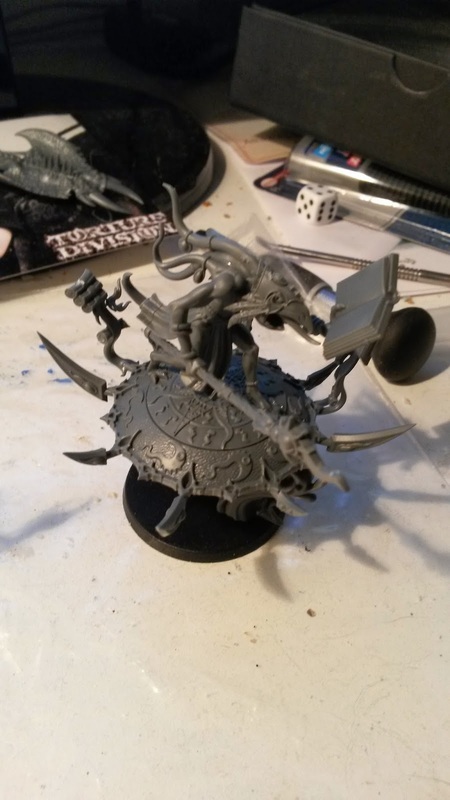 But I also wanted it to benefit my Chaos Marines, so I decided to make the Disc magnetised! 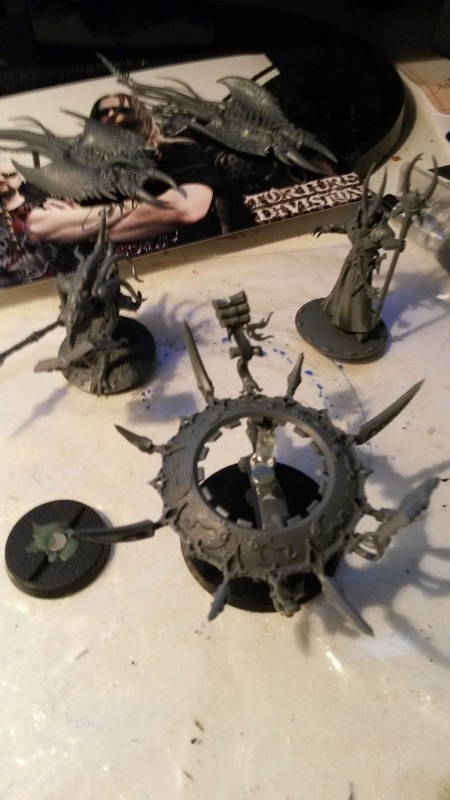 I had a Sorcerer who got the honours, and the way I made it I can create more discs at a later time... since I would like to make a Chaos Lord as well (running the Murder Sword, I like the idea of an assassin on a jetbike!). So I looked at the bits that were left... Blue Horrors, books, scrolls... Wait, two Blue Horrors on a Disc? Now that seems familiar. So I went ahead and made my own version of the Blue Scribes as well.